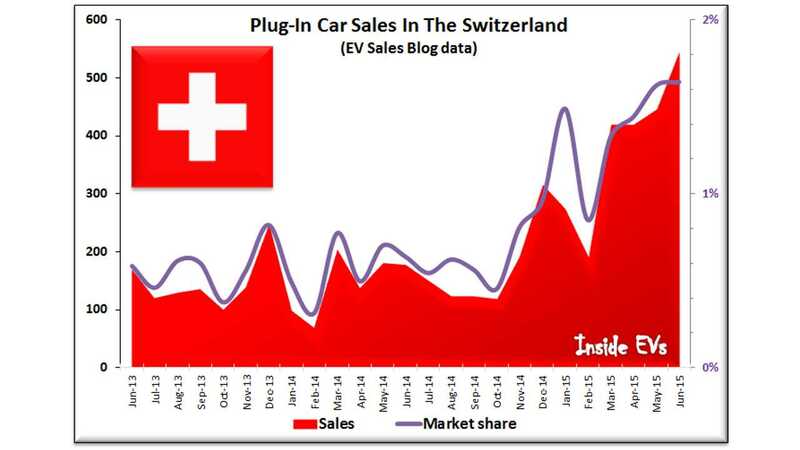 Switzerland surprised us this year by climbing into relatively high plug-in electric car sales. According to EV Sales Blog, in June sales for the very first time exceeded 500, hitting a record of 544 registrations (part of the data is estimations). 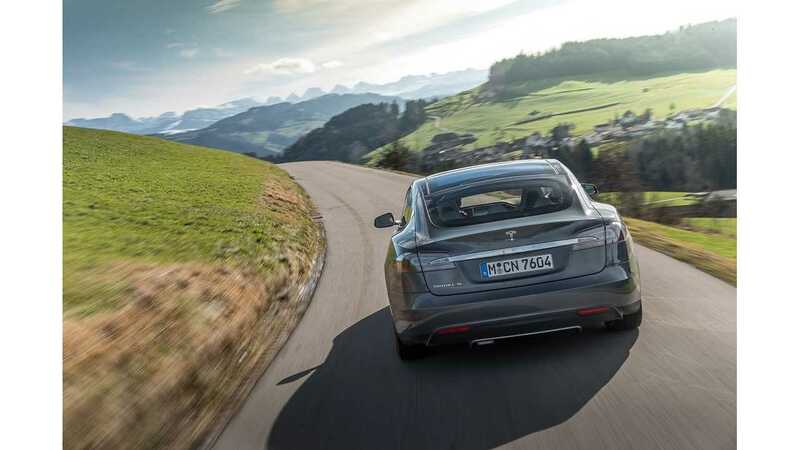 Another record is 253 Tesla Model S EVs sold in June and 638 so far this year (BMW i3 is second with 451 YTD, while Renault ZOE is third at 228). 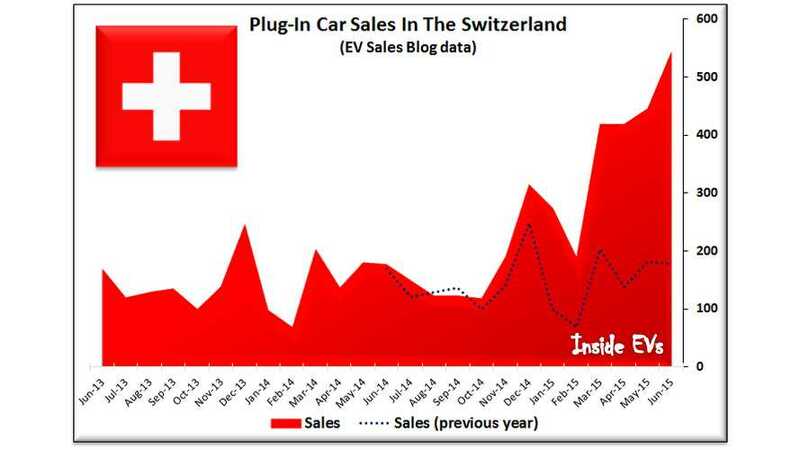 Switzerland's market is growing at a rapid pace and we believe there are no special incentives pushing this rush. When we combine sales results with total number of automotive registrations, we see 1.6% market share for plug-in cars out of the total new car market. 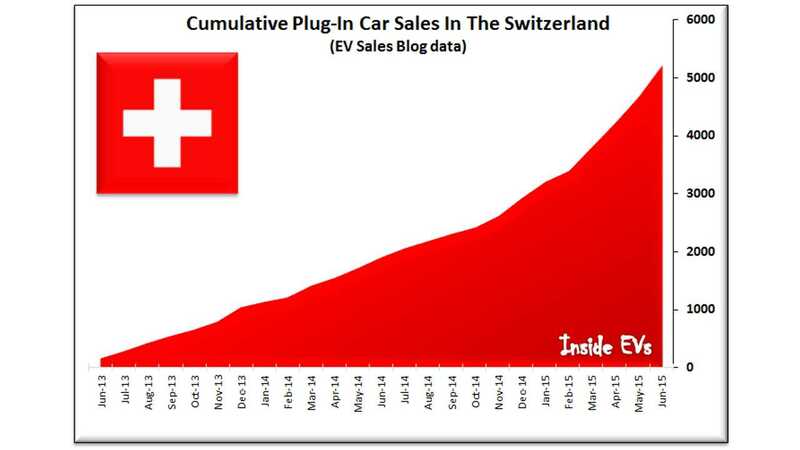 Since June 2013, Switzerland has over 5,200 new plug-in cars registered. 1,347 of them (25%) over that period where Tesla Model S EVs.